This incredible set features multiple layers of soft plastic flowers and beads in a stretch bracelet with matching domed brooch. 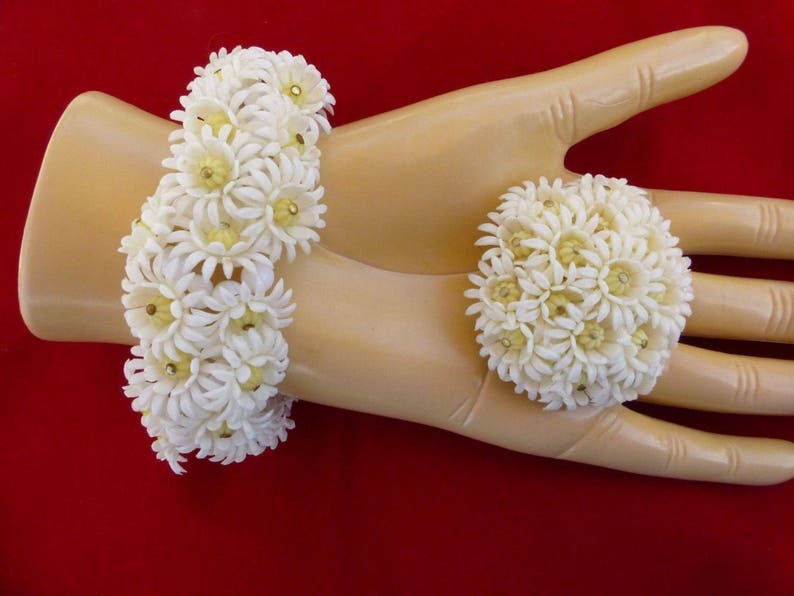 The bracelet has circlets of white beads that are layered with smaller white beads and the plastic flowers on top. This vintage bracelet is stretch so will fit most wrist sizes. It has been recently restrung so is strong and will last. The domed brooch is set on gold tone metal. Both pieces are in excellent condition and are perfect for the vintage lover that craves something different.